I've been watching beavers in the swamps on Wellesley Island in the St. Lawrence River since 1994. 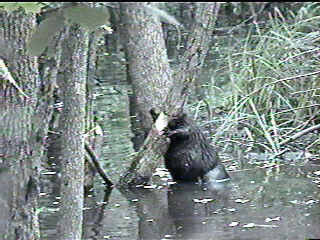 I'd like to do two things with this web page: in a link I call BeaveReality I'll give you as complete an idea of how beavers live as I am able to do based on my own experiences in the swamp ponds I roam , and in a link I call Beaver Lore I'll share my reactions to other books and articles about beavers or that mention beavers. As I describe my own experiences I'll pack in as many images as I can, but only photos that I took myself, or to be more precise that I lifted from the video record I keep of the beaver ponds I watch. So the photos may not be of the highest quality. Also I'm not much interested in solving the problems beavers are accused of causing, except that I might reconcile you to the beauty of fallen and dead trees, and flooded fields and forests. 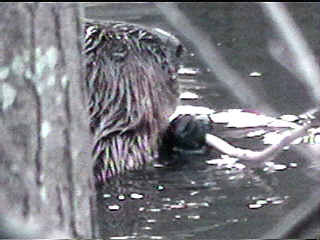 Beavers get a lot of work done in a way completely the opposite of the way we humans go about our tasks. We are more akin to the lower animals, say ants, and fret that nothing will get done unless there is regimentation and planning. It is one-two-three and we all pitch in at once, be it a hundred spadefuls, a hundred chops or a hundred roars from the guns. 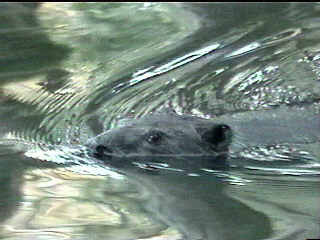 The beaver has a curious way of rotating through all the activity around the pond. 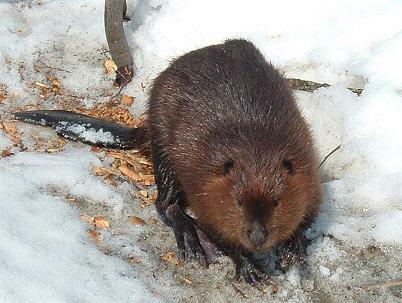 I will see a beaver gnawing on a tree trunk, usually no longer than ten minutes, and then it will move off into the pond and go down to another tree. 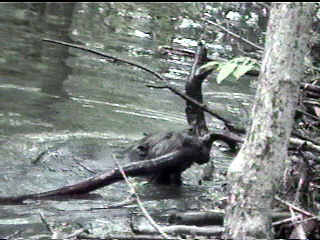 Another beaver will come to the tree the other beaver left and start gnawing on it. 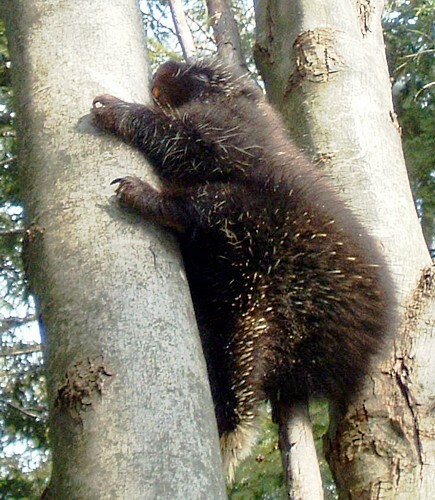 A beaver, in our terms, is not individually a good worker. But all beavers seem inordinately curious about all work. They can't resist picking up where another beaver has left off. 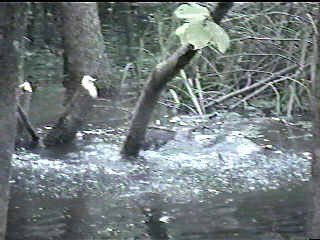 Consequently the beavers as a group get a great deal of work done. Click here to read my nature journal with photos that gives weekly updates on my observations of beavers.